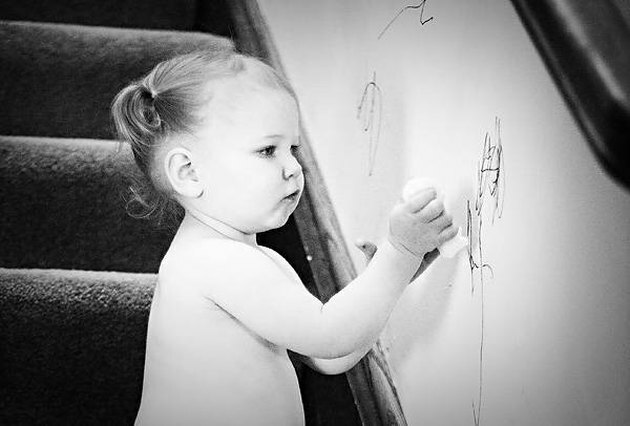 If you have little artists in your house, you have probably already encountered the marker masterpieces that they proudly display upon walls. Dry erase markers have a misleading name in that they don't just wipe off the walls. It requires a little more time and special attention. Not all cleaners will remove this temperamental mark. Dampen a Mr. Clean Magic Eraser and scrub the marker stains away. Spray hairspray onto a soft clean cloth and use it to wipe away the ink. Reapply more hairspray as needed and keep wiping until there is no ink left. Dampen an old toothbrush with isopropyl alcohol and scrub the stain away. Spray the marked area with WD-40 and wipe it up with a soft clean cloth. Put white toothpaste on an old toothbrush and gently scrub until the paint is gone.